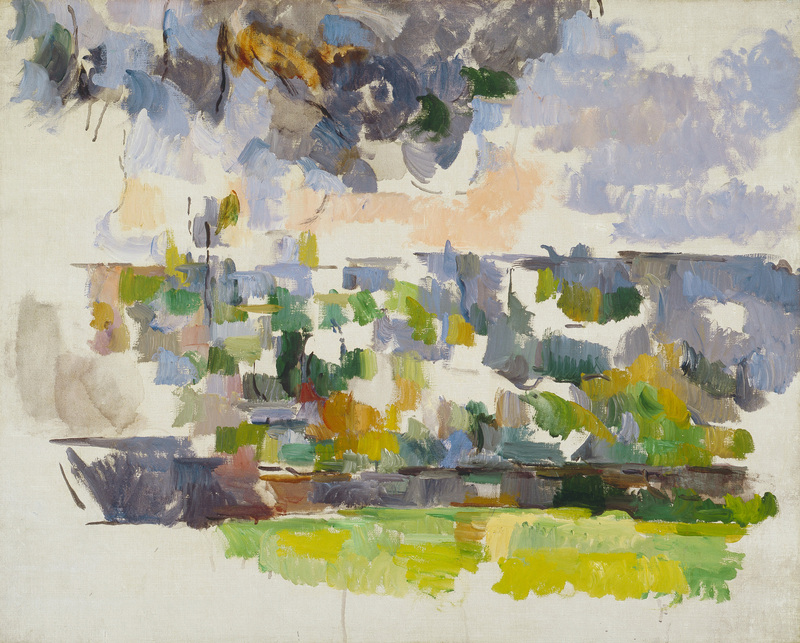 The flat patches with which Cézanne painted the half-finished Le Jardin des Lauves at first resemble his northern style (such as Giverny) more than his southern one, but the feelings that they evoke is quite different. There is no sense of psychological distance from the motif; on the contrary, there is the sense of the southern passion for landscape in the contrasts of light, the brilliantly juxtaposed colors, and the swirling touches. We have no clear sense of what the painting may have looked like if he had finished it; in the North no late landscapes has a similarly spacious range of colors and in the Midi only La Route tournante (R930-FWN346), comes close. Since we know from photographs, and even from a watercolor, that the painting represents an overhanging branch at the top, a view of Aix with the St-Sauveur cathedral underneath it, and the terrace wall below, we can assume that the spire would have become more than a hint, and that the patches would have coalesced more. But it is the conception of painting that this lay-in reveals that is most significant: a fervent rhythm of the colored constituents of the landscape, awaiting, but not dependent upon, the suggestion of larger, more legible, forms. The painting stands poised, it seems to me, between a first lay-in and a full integration; it is more than a promise but less than a fulfillment, a poem that alludes to its subject rather than an essay that explains it. It is clearly the most advanced and the most experimental of his late landscapes. 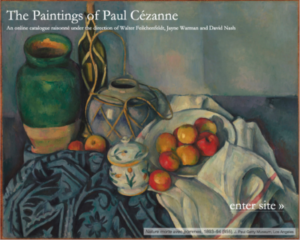 See Rewald, « The Last Motifs at Aix, » p. 95, and Rewald, Paul Cézanne: The Watercolors, No. 637.